This stunning flower birthday card is so perfectly subtle and beautiful. This is a wonderful choice for a mother, grandmother, or anyone who will appreciate the soft colors and old-fashioned design. The bright flowers are a nice contrast from the light wallpaper and really tie the whole birthday card together. 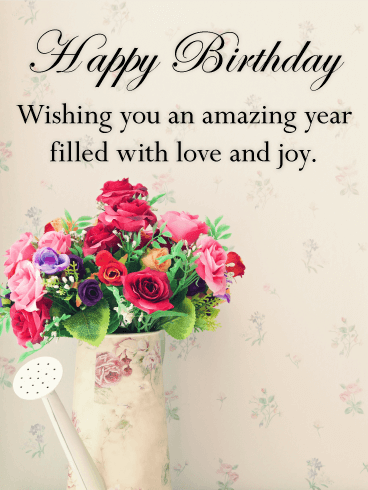 Send this stunning flower birthday card to beautiful women around. Happy Birthday - Wishing you an amazing year filed with love and joy. There is no better way to wish someone a happy birthday than with daisies. 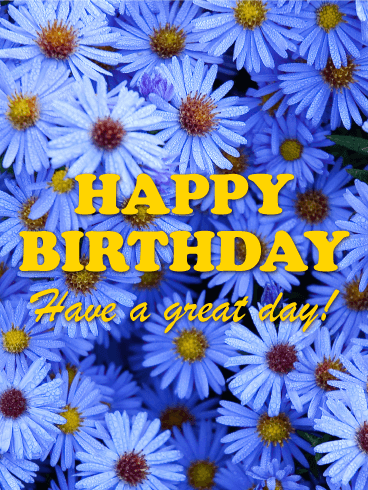 Wish that special someone a great day on their special day with this birthday card that brings happy blue daisies right to their email inbox. 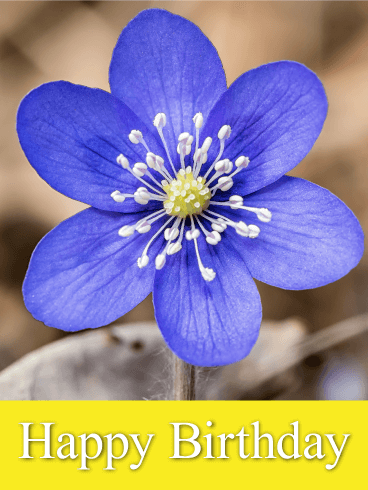 Your happy birthday wishes are splashed across the pretty blue daisies in bright yellow, making sure the message will be remembered with this birthday card. A disco ball, a DJ's turntable and mixer, and a hip older woman with a red jacket and sunglasses! What a hilarious and surprising image decorates this funny birth-day card. This granny is slingin' records and gettin' the dance party started! If you want to surprise your friend with an imaginative birthday card, this is the one. 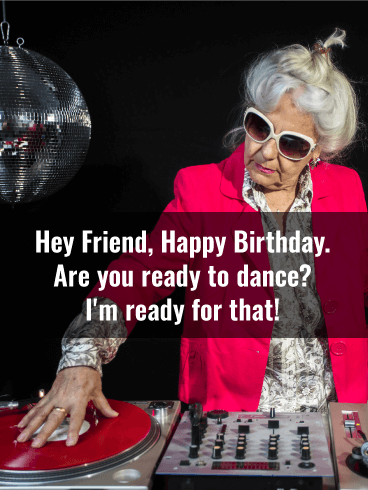 Celebrate your friend's birthday and get ready to party! Doing yoga on the beach is the most relaxing way to celebrate a birthday. It's also a way to help those celebrating their birthday forget that they're another year older! 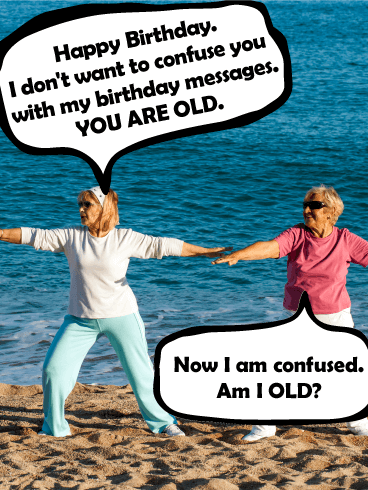 This funny birthday card is the perfect way to send your birthday wishes, and the joke is just the icing on top of the cake. Cute as a bunny! 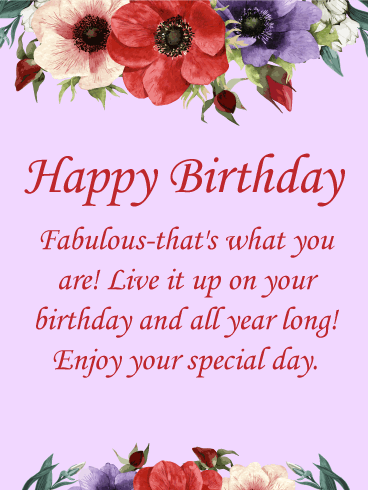 Wish a wonderful day and a delightful year to someone sweet on their birthday. 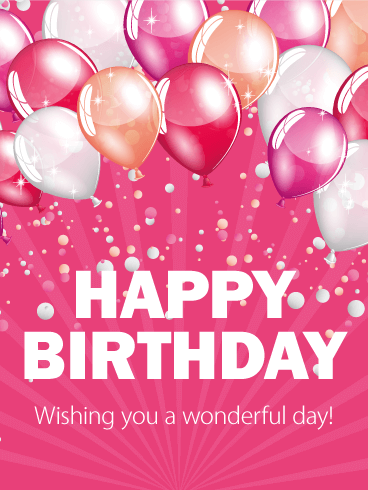 Send this polka-dotted birthday greeting card with an adorable message. It's easy to make someone's day even more special and spectacular with a thoughtful birthday card. Why not send one now? 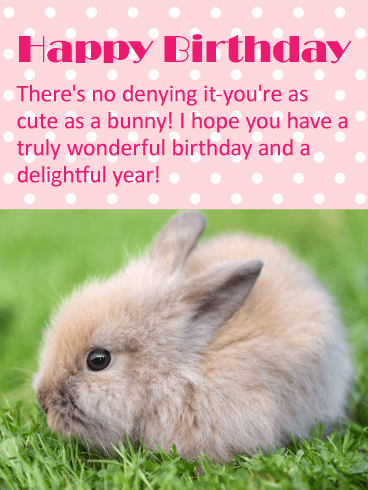 This precious baby bunny is a ball of irresistible fluff with a sweet birthday greeting to share! The best friendships are those that last long after you are old and gray and the best friends are those who joke and tease each other with affection! 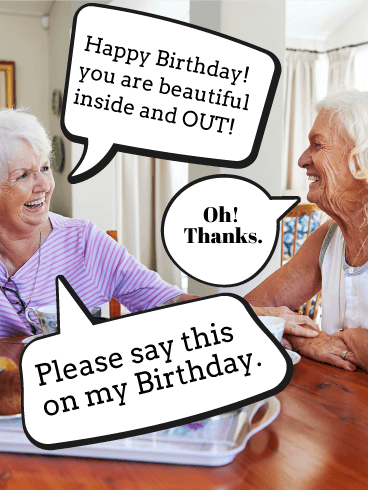 If you have a loved one who will still be by your side through the years, send them this funny Happy Birthday card to celebrate their special day! The hilarious captions will make them laugh and show how much you care about them and your friendship! This is a cute funny birthday card for anyone, but especially someone who may have a complex about turning another year older. 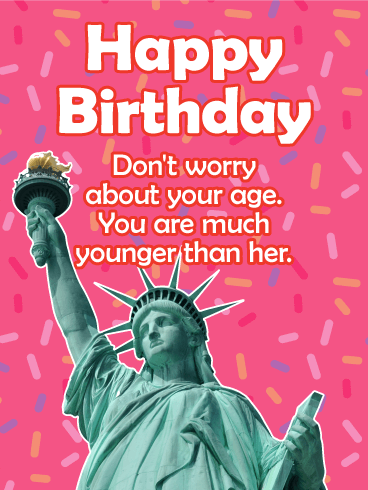 The Statue of Liberty makes the birthday card look serious, but a further look reveals a fun joke! As if that wasn't enough, the sprinkled background is the perfect way to say happy birthday. 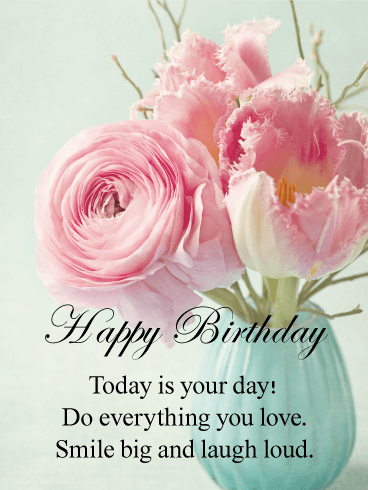 Your friend or loved one is fabulous and you should let them know just how much they mean to you on their special day with this feminine birthday card. A bouquet of flowers at the top and bottom of the card keep the focus on the message in the center. The entire scene is on a lovely lavender background. 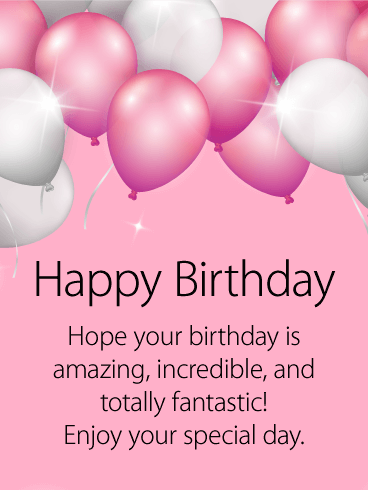 Wish them a happy birthday and make their day when you send this card their way. If you're looking for a beautiful birthday card, you've just found it. A stunning cornflower blue anemone in a natural setting is the focal point over a yellow banner of birthday wishes. Send best wishes for the coming year to the email inbox of anyone who appreciates Mother Nature. This birthday card is suitable for any friends or family members. 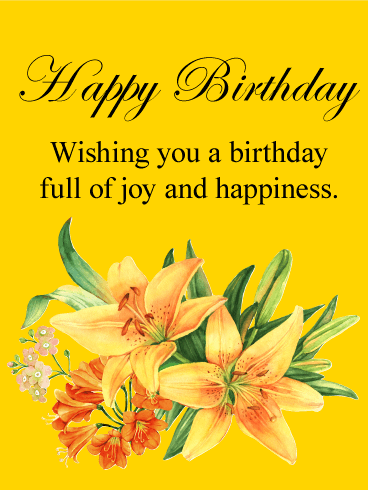 These lovely yellow lilies will add joy and happiness to that special someone's life when they receive this birthday card in their email inbox on their birthday. The soft yellow and happy orange of the lilies are a charming way of sending best wishes for health, luck, and love in the coming year. The happy goldenrod background perfectly complements the message of this birthday card.